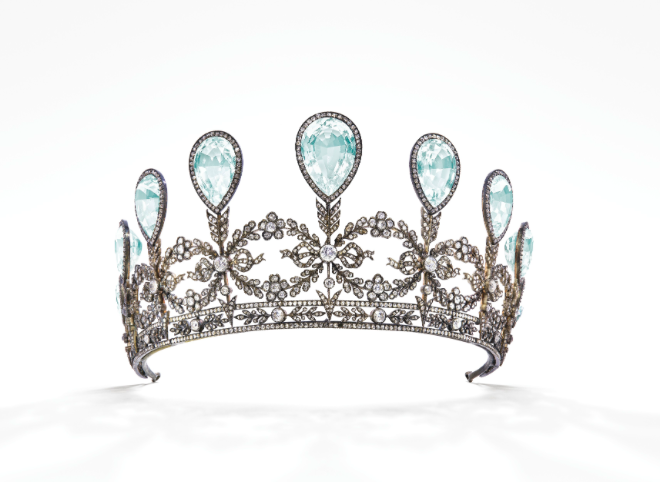 Christie's has just unveiled one of the star lots of its 15 May auction: a royal tiara made by Fabergé for Princess Alexandra of Hanover which will be offered for the first time at auction. In 1904, the lavish diadem that will be sold at Christie's in Geneva on 15 May was designed for Princess Alexandra of Hanover, in celebration of her marriage to the Grand Duke of Mecklenburg-Schwerin, Frederick Francis IV. 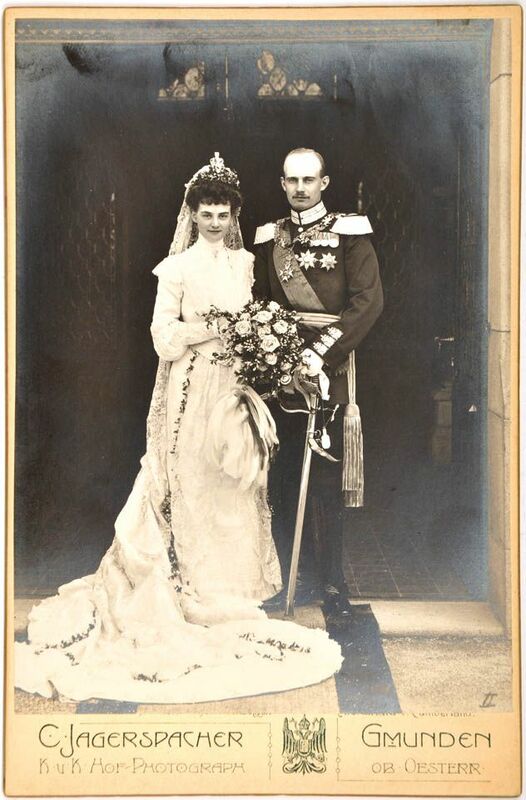 As a fervent admirer and collector of Fabergé objects, the Grand Duke's mother, the Grand Duchess Anastasia Mikhailovna of Russia, proposed that her son use the workshop of the famous jeweller for the design of his wedding gift. According to the archives, the specifics of the confection were negotiated in a correspondence between the official cabinet of Mecklenburg-Schwerin and Eugène Fabergé. A letter dated 10 May 1904 offers the options of "a diamond tiara for 10,000 rupees or a diadem of aquamarine and diamonds for 7,500 rupees". 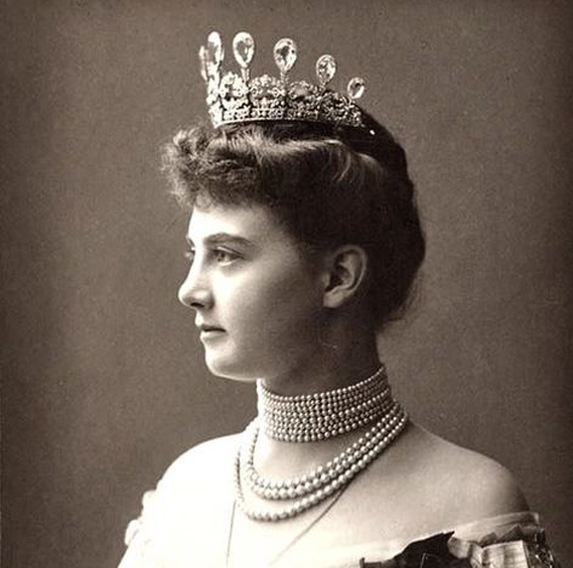 Princess Alexandra of Hanover received the tiara from Fabergé some time later. Sine then, the elegant piece has not been revealed to the public for more than a century. The diadem has details designed especially for the royal event. A frieze of forget-me-not floral designs interlaced with ribbons embodies true and eternal love, while the arrows refer to the figure of Cupid, symbolising commitment and affection. 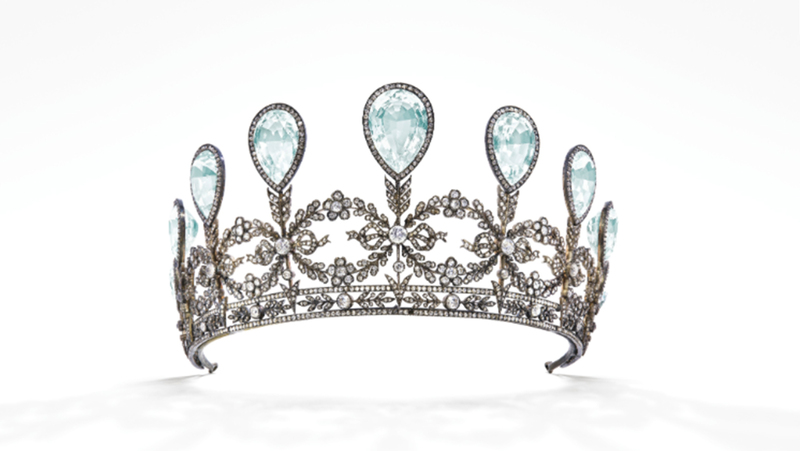 Nine aquamarine stones carved in pear shapes overhang the diadem, whose structure is dotted with more modest diamonds. On 15 May in Geneva, Christie's will auction this exquisite Fabergé tiara, which is expected to fetch between £172,000-260,000. 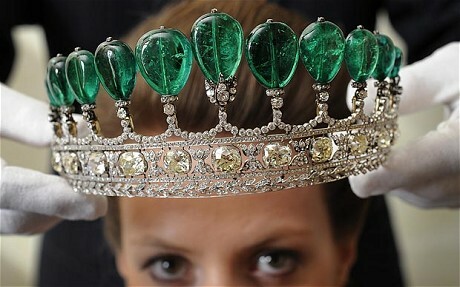 The most expensive tiara ever sold at auction belonged to the wife of Napoleon III. It was auctioned in 2001 at Sotheby's for £9.8 million.